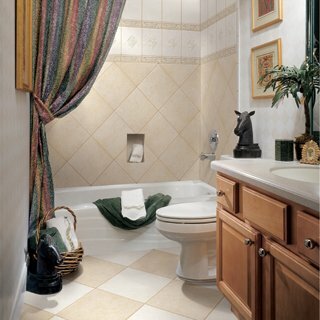 You will find that Whalin Construction is an expert in fine, imaginative work on bathrooms - no matter what the budget. Home remodeling is definitely a hot topic these days. While the housing market may be experiencing a temporary downturn, remodeling projects continue to hold steady simply because many home owners have decided to stay put in their current homes, opting to upgrade rather than move. 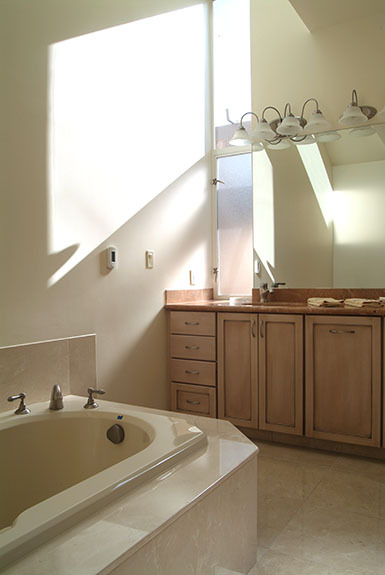 Bathroom remodeling is one of the most popular major home improvements. I think this is not just because of extra comfort it will bring for the home owners but that bathroom remodeling projects return a considerable portion of improvement investment dollars when and if you sell your home and/or are concerned about the appraised value in the near future. A bathroom remodel can consist of just replacing the fixtures or it can be as extensive as laying new tile flooring, installing a new shower, new sinks and countertops, new bathroom storage and new lighting. No matter how big or small the project is, choosing the right, licensed contractor can save you money, time and stress. At Whalin Construction we pride ourselves on having the most experienced team, great results and most importantly, happy customers. We know how important it is to keep the work area clean, get the job done quickly and to your satisfaction. Though small bathrooms and half baths can be a challenge when it comes to space design they’re just as fun to remodel and decorate as large bathrooms. Just by replacing your bathtub with a shower, adding a wall-hung sink, or adding a huge mirror will create a sense of spaciousness. With a little electrical, plumbing, tiling, and dry walling, you can turn a cramped bathroom into a roomy functional haven! The average home is about 33 years old and with the nation's aging housing stock, remodeling projects such as replacing windows and roofs are an ongoing necessity. But homeowners are adding, expanding, reconfiguring, and remodeling their homes more than ever.